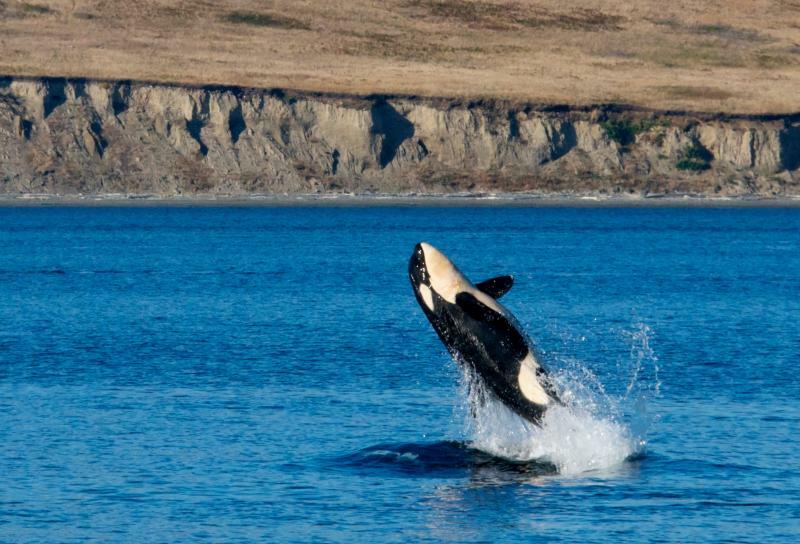 Boats have to stay 200 yards away from the Northwest’s endangered resident killer whales. But what if one of those boaters launches an aerial drone to take better pictures from closer up? It's not a theoretical question. And the answer is not as clear as law enforcement would like. Ivory, it’s that beautiful creamy white, sometimes even pinkish tooth that can only be had by killing an elephant. 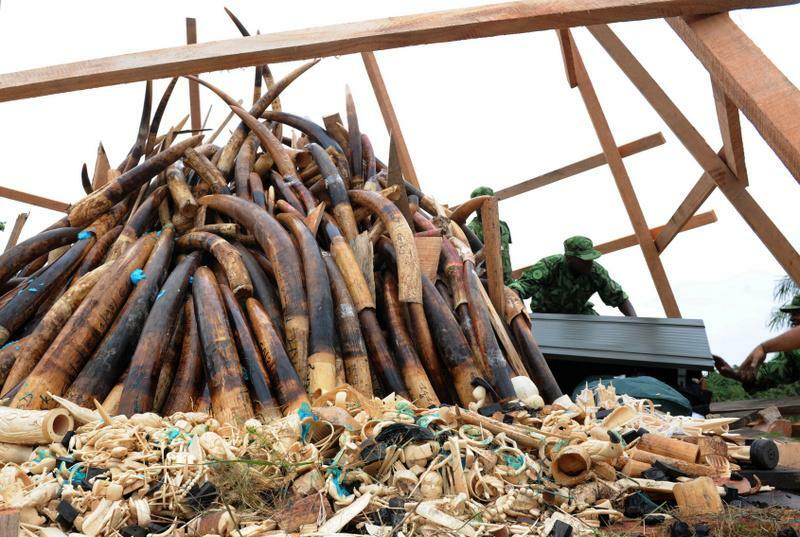 Now, A researcher at the University of Washington is helping to put a dent in the illegal ivory trade in Africa. His name is Sam Wasser and he is the director of the center for conservation biology at the University of Washington. 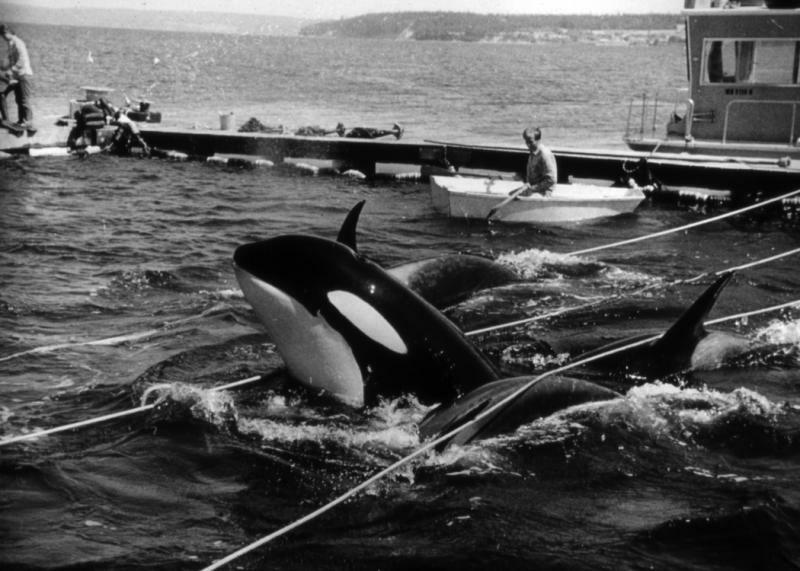 Researchers in the San Juan Islands say the survival of older female Orcas, after they go through menopause, helps younger males stay alive longer. That might not surprise many humans, but scientists well-versed in the behavior of Orca whales say it’s a relatively new conclusion. And, in many species, females don’t live long after the end of their reproductive life. 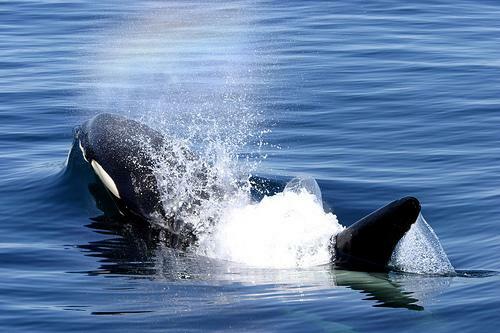 James Maya, a ship captain and owner of a whale watching company, took these photos of an orca breaching on Monday off South Beach on San Juan Island. He said this was the only whale breach that evening and he just happened to have his camera at the ready. These breaches are not uncommon, he added. “Sometimes they just go crazy,” he said. 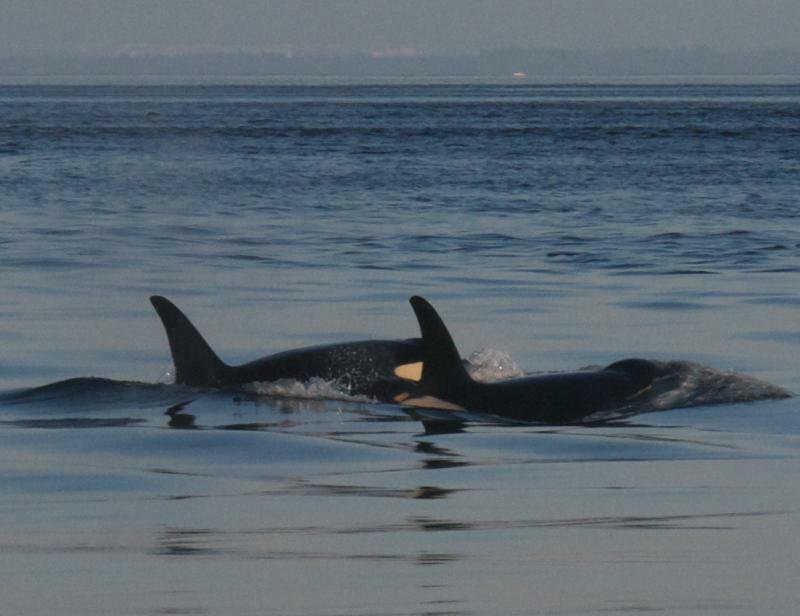 A boater who was caught by the Coast Guard too close to Puget Sound killer whales won't be penalized, but next summer violators could be fined thousands of dollars. 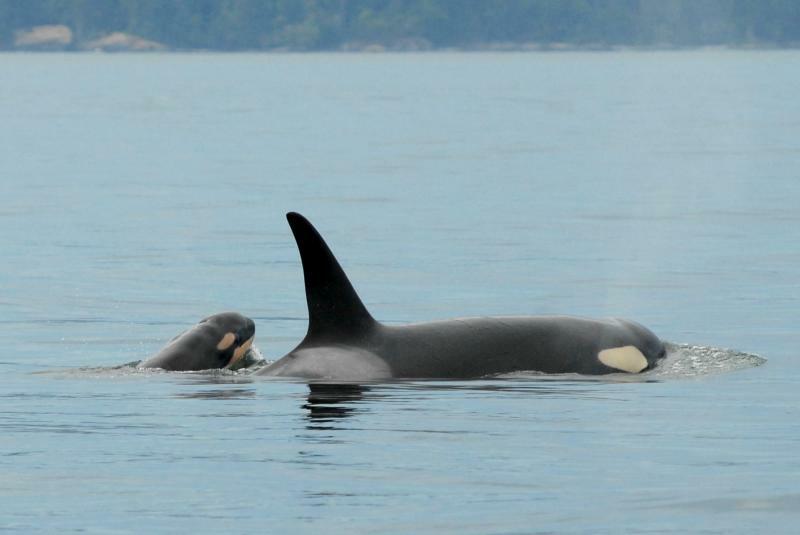 BREMERTON, Wash. — A newborn orca calf has been reported off the west side of San Juan Island in the Puget Sound. 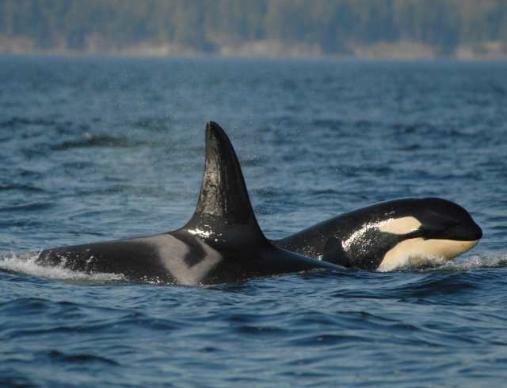 The Center for Whale Research reports the new calf was first spotted midday Monday among the adults of J pod, one of three killer whale pods that frequent Puget Sound. 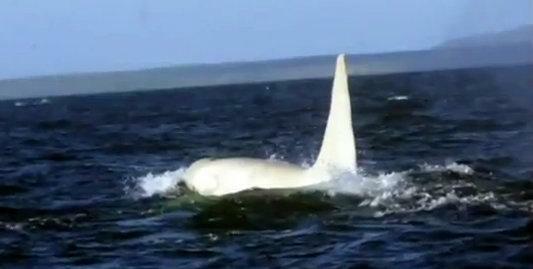 An all-white orca has been spotted by scientists during a research cruise off the eastern coast of Russia, near the Kamchatka Peninsula and the Commander Islands in the North Pacific, reports ABC news. The scientists have named the orca Iceberg. The bruised and bloody carcass of an endangered killer whale washed ashore at Long Beach, Wash., this weekend. An initial necropsy did not pinpoint a cause of death. This week , federal biologists will cast off on a research cruise from NOAA's new homeport in Newport, Oregon. 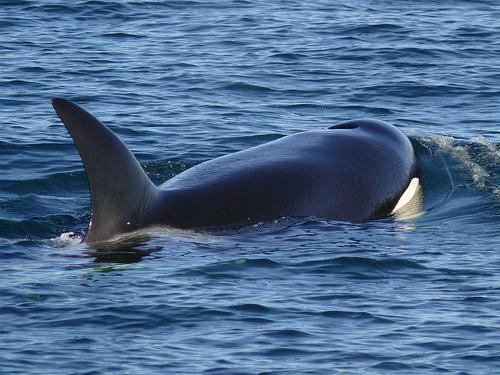 They hope to crack an enduring mystery about some of the most studied killer whales on earth. 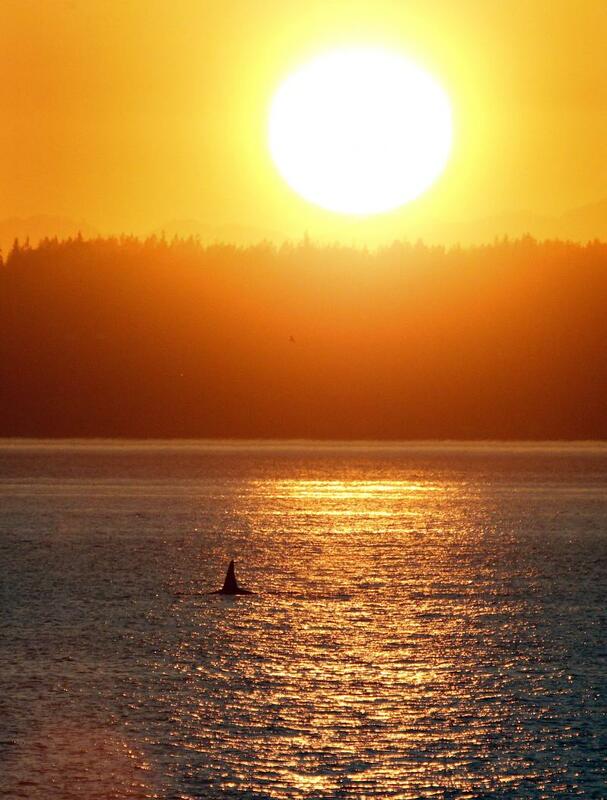 Namely, where do the Northwest's resident orca whales go in the winter? 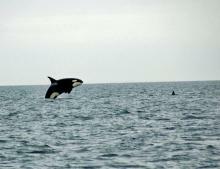 Every winter, the three pods of orca whales that call Northwest waters home just disappear into the wild blue yonder. Research biologist Dawn Noren and colleagues from the Northwest Fisheries Science Center are about to embark on a three-week mission to find them. 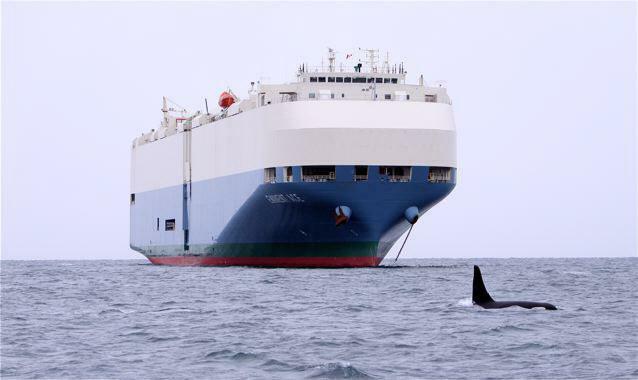 ANCHORAGE, Alaska — Three killer whales have made an unusual trek up the Nushagak River in southwest Alaska. 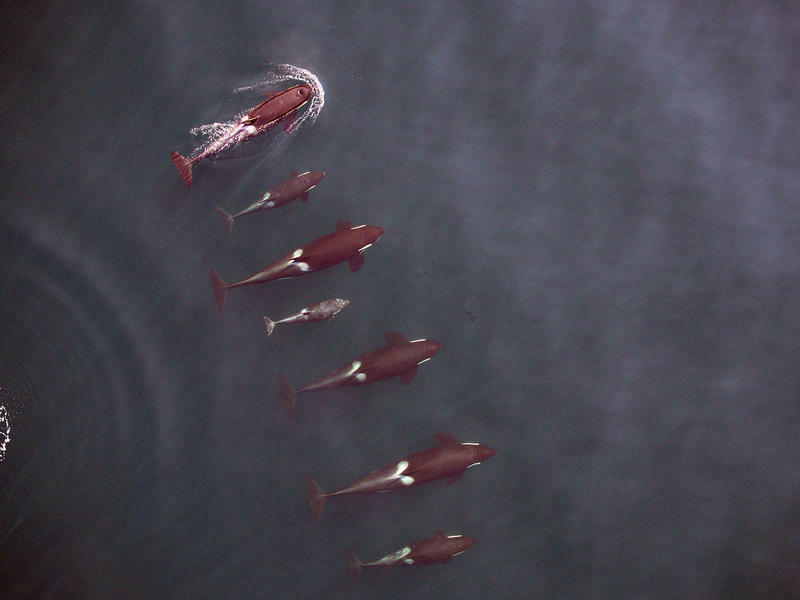 NOAA Fisheries-Alaska region spokeswoman Julie Speegle says residents have seen killer whales at the mouth of the river, but never this far upriver.